Much hubbub was made about the debut of the Audi R8 RWS. Short for “Rear Wheel Series” the RWS version of the R8 is the first rear-wheel drive Audi ever and a very exciting car. It allows the R8 to be purer, more connected and a bit more of a hooligan. That’s exciting because the standard Audi R8 V10, while absolutely brilliant, is almost a bit too safe, a bit too usable. It’s the pinnacle of the all-weather supercar. So the idea of a rear-driven R8, one that will do more skids, is an exciting one. But is it as exciting in practice? Carfection recently attended the R8 RWS press launch which, ironically, was in a historic blizzard in the UK. So Audi let journalists test the first rear-wheel drive version of its all-weather supercar in some of the worst weather the UK has ever seen. You can’t make that stuff up. But you figure with all of that snow, you’d really get to feel that exciting rear-drive nature. Except the winter tires fitted sort of rob the Audi R8 RWS of its fun. Admittedly, Carfection’s Henry Catchpole does say that the RWS’ front-end feels a bit lighter, more responsive and a touch purer but the differences aren’t significant. While a bit more tail-happy, the R8 RWS isn’t much more fun than the already exhilarating R8 Quattro. Having said that, Catchpole admits that, in absurd snow and on winter tires, he didn’t get to give the Audi R8 RWS its fair shake. So he’s going to have to get it back in much nicer weather, and on summer tires, to give it a proper go. 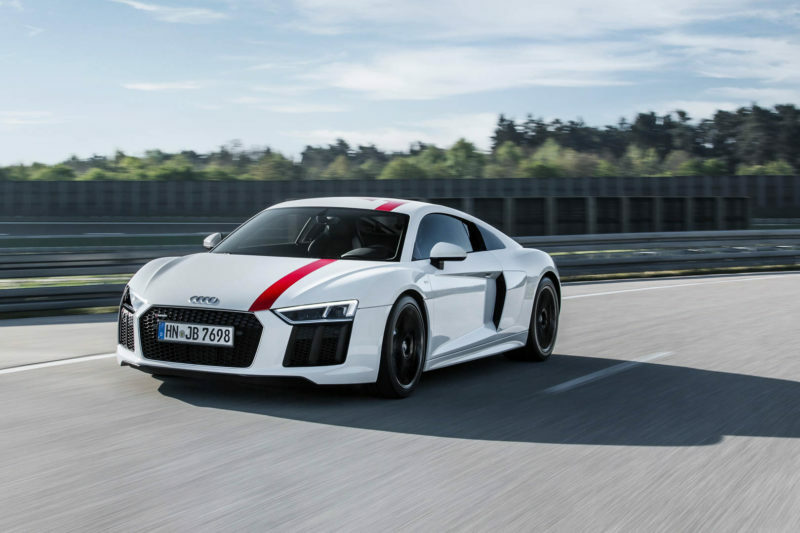 While the idea of an Audi R8 RWS is intriguing, the standard R8 is already so good that it might not be necessary. Plus, with such a limited run, it’s not like many people will be able to experience it anyway.